ArcGIS Open Data helps more than 2,800 organizations around the world share their authoritative data in multiple open formats. The solution, hosted and managed by Esri, comes free with ArcGIS Online. It enables users to set up public-facing websites where members of the community can search for and download open data. The City of Hartford has released more than 70 datasets on its ArcGIS Open Data site. The City of Hartford, which is the capital of Connecticut and the state’s fourth-largest city, uses ArcGIS Open Data to streamline the process of releasing its geospatial data. Using ArcGIS Open Data has helped the city respond to data requests from the public and improved the ArcGIS Online experience for its internal users. Hartford has released more than 70 datasets on its ArcGIS Open Data site, saving the city a significant amount of time and money. Employees in Hartford’s GIS Services division receive countless requests for geospatial information from engineering companies, graduate students, and other organizations. Before launching its ArcGIS Open Data site, these GIS specialists had to endure a complicated, time-consuming process for each request. They had to locate the data; clip and format it to meet the requester’s specifications; export the data from Hartford’s internal GIS system; and, finally, upload the data to a publicly accessible FTP site for downloading. 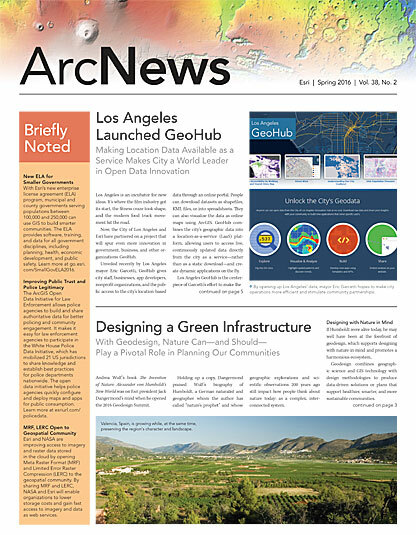 Now all they have to do is point people to the city’s ArcGIS Open Data site. 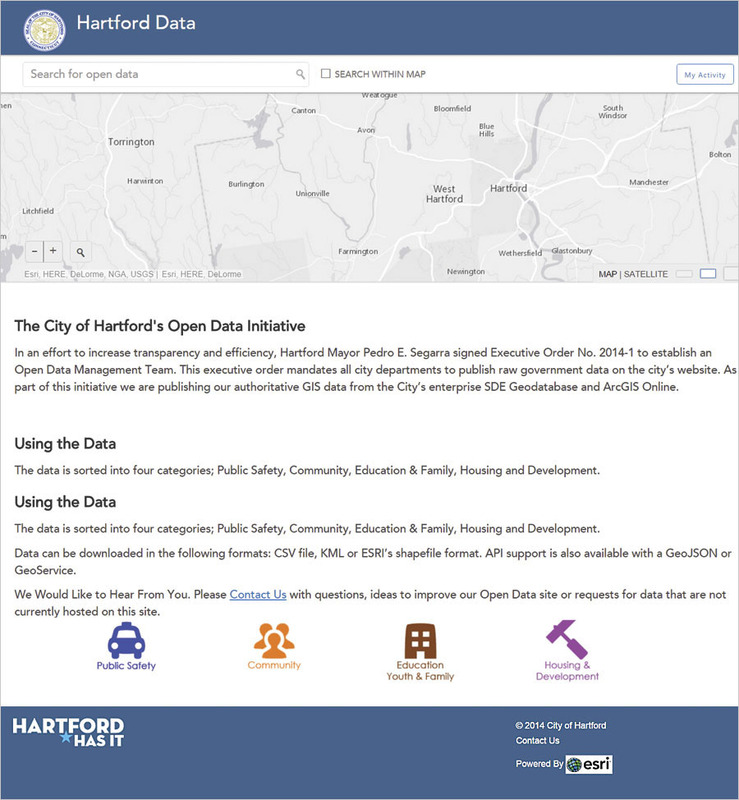 Many internal users from departments across the city also access Hartford’s open data, including the mayor’s office; the planning division; the police department; the Department of Families, Children, Youth, and Recreation; and the Department of Public Works. All these divisions are linked via ArcGIS Online, and Hartford’s ArcGIS Open Data site is always at hand. When employees in these departments create a new map in ArcGIS Online, they can easily add the city’s open data to it. This ensures that everyone in every department is using the latest and most authoritative city data. ArcGIS Open Data has made the City of Hartford’s GIS workflows much more efficient and effective. And its GIS staff continue to look for new opportunities to expand Hartford’s open data offerings, including the Living Atlas of the World.